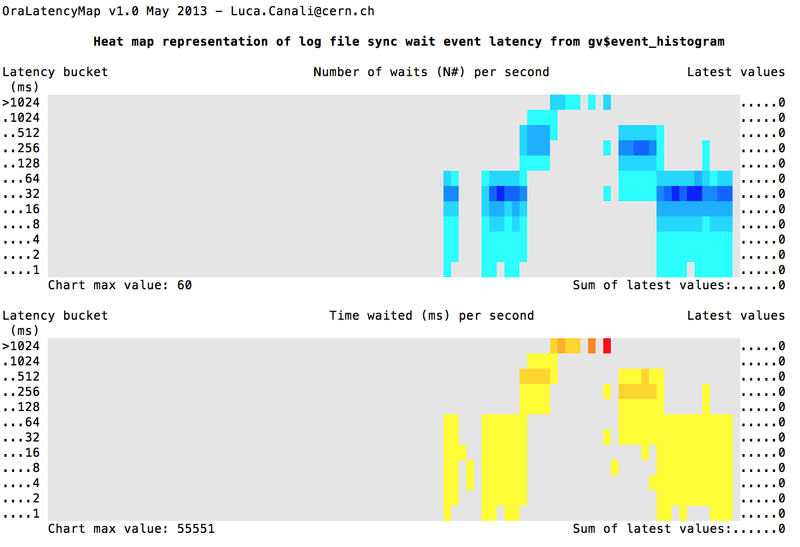 The graphic shows the latency heatmap of “log file sync”. 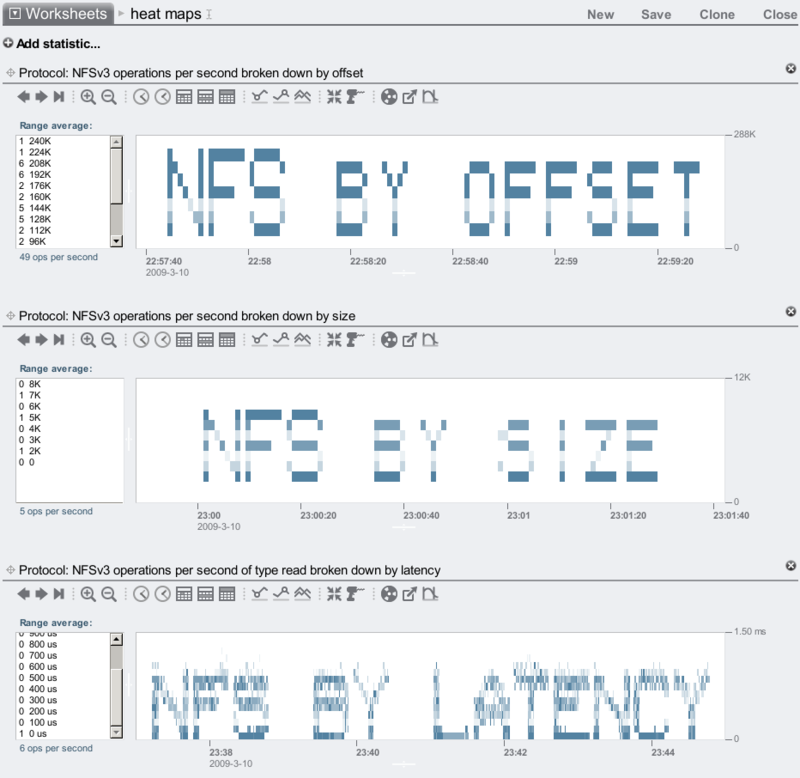 I was running a swingbench load and at the same time throttling I/O such that latencies started off good then got worse and then back to normal. In the graphic at the top of the page I put lgwr in an I/O write throttle group and played with the I/O throttle.